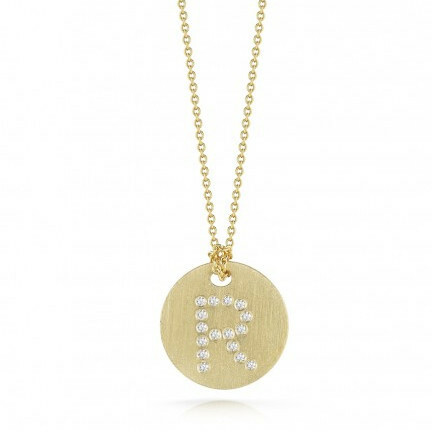 The Tiny Treasures collection presents the initial R medallion necklace from Roberto Coin. 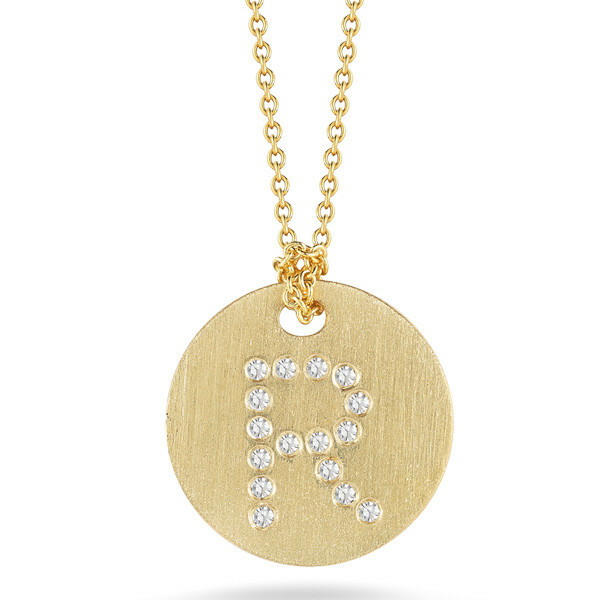 This letter R is displayed on the face of an 18kt brushed gold charm in captivating white diamonds. Adjustable from 16" to 18", an 18kt gold chain allows this pendant to dangle elegantly. 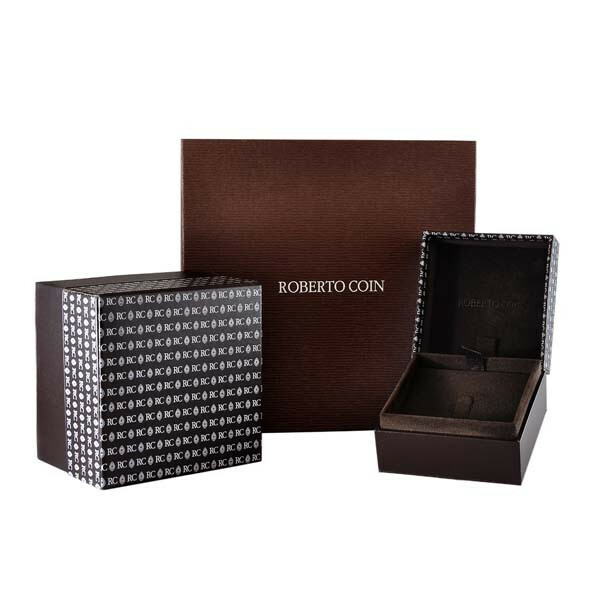 Add a personal touch to your look with a Roberto Coin medallion made just for you!